Suffering from his father’s absence, a boy leaves his village and discovers a fantastic world dominated by animal-machines and strange beings. 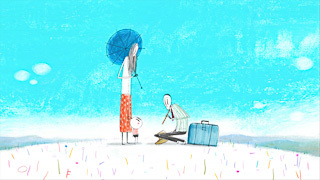 Full of beautiful and wondrous images, this animated film portrays the modern world through the eyes of a child. O MENINO E O MUNDO has been delighting audiences since its release and has received numerous awards, including the award for Best Animated Film at the Havana Film Festival as well as the Monstra Grand Prize for Best Feature Film at the Lisbon Animated Film Festival last month. Alê Abreu was born in São Paulo, Brazil on March 6, 1971. His 2007 short PASSO was screened at animation festivals throughout the world. That year, he was one of the featured artists at AnimaMundi, which exhibited a retrospective of his film work. 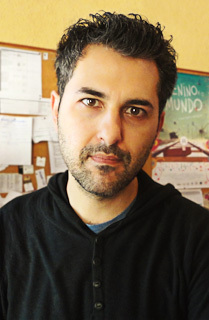 In 2009, he directed the series pilot of VIVI VIRAVENTO (2009) for AnimaTV among other projects, before embarking on the feature-length film, O MENINO E O MUNDO.